This is a book about memory—Jewish memory. It tells the story of a soul’s descent into hell and, after a long and arduous journey, back into life. But it’s also a book about something else, something that we hesitate to name. Something we fear to call attention to, perhaps out of fear that we will be laughed at, or fear that we will be wrong, yet again. It is something that has entered into the Jewish worldview and become part of everything we do, a certainty and a faith that has carried us through the darkest times. We pronounce our belief in it three times daily. And yet, we have no idea what it really means. I speak about the belief in T’chiat HaMetim, the revival of the dead. This is indeed a book about the revival of the dead, of one soul’s journey back to life. The theme of returning from death—death of the will, death of the heart, death of faith—runs all through Returning. The characters themselves are conscious of this theme. But there is a deeper theme buried just beneath the surface, and it is that which makes this book a unique testimony for our times. Because this book could not have been written before the Birth of the State of Israel. Our author finds herself in Jerusalem, at the home of a rabbi who teaches at Neve Yerushalayim, the yeshiva where I also once taught. The scene is familiar to me—the gathering of young people around the Shabbat table, getting to know what it means to be Jewish. The familiar rituals of Shabbat punctuated by the lively conversation of young minds. The host, a rabbi who taught at a nearby yeshiva, asked each of his young guests to tell a bit about what had brought them to Israel. Besides the humorous answers: “An El Al 747!” and the facetious answers: “A desire for the quiet life,” there were also more thoughtful ones. In fact, for most, the question was not easily answered. There was a sort of bemused wonder that they were here at all. And a few of them had no rational answer. Some mentioned recurrent dreams—or nightmares; vague memories from early childhood, now scarcely recalled; a desire to rebuild something that they no longer remembered; a persistent pull without any reasonable explanation…. “Would the three of you be willing to come back after Havdalah to help me with a project?” asked the rabbi. It turns out that the rabbi wants to write down their individual stories, but the reason why goes beyond the simple preservation of memory. Such stories hint at a great secret about the age we are living in now. The rabbi described here could have been any of us; we’ve all heard these stories. But not everyone connects the dots in the same way. “You see, at the yeshiva, we get a lot of people who come in search of something they feel they’ve lost. In most cases, it’s just a deeper, more meaningful lifestyle than the one they grew up with. But every year we get a few who describe their journey in much the same way as you three did last night: rebuilding someone else’s life, seeking relief from a nightmare they can’t clearly recall…. Well, let’s just say that I think I understand the reason these people—people like you—are here. The revival of the dead, for Jews, is more than a metaphor; it has taken on substance and form in our tradition. Your dead will live; their corpses will rise. You who lie in the dust, awake and shout for joy, for your dew is as the dew of the dawn, and the earth will give birth to the departed spirits. Come, my people, enter into your rooms and close your doors behind you; Hide for a little while until indignation runs its course. For behold, the Lord is about to come out from His place to punish the inhabitants of the earth for their iniquity; and the earth will reveal her bloodshed and will no longer cover her slain. Behold, I will cause breath to enter you that you may come to life. I will put sinews on you, make flesh grow back on you, cover you with skin and put breath in you that you may come alive; and you will know that I am The Lord. From a few lines of lyrical and allusive prophecy, whole worlds have taken shape. We have formed a picture of what the Revival of the Dead will entail. This picture is based largely on the speculations of our sages during the time of the Second Temple and—even more—after the destruction of Jerusalem and the beginnings of a long exile. We seldom stop to think—and we certainly should do so more often—that in taking the words of our sages as a description of mere fact, we may miss the deeper meanings which they meant to convey. As a rule, aggadah should not be taken literally; rather, it must be interpreted with the understanding that a higher truth is being alluded to—a truth that is beyond historical perspective, philological expression, or the dimensions of scientific observations. Agaddah speaks to that part of us that understands but cannot articulate what it understands. It allows us to go beyond the realms of the definable, perceivable, and demonstrable. In this sense, aggadah is a form of religious metaphor, a mirror that enables us to form mental images of the indescribable. Isaiah’s words, “the earth will reveal her bloodshed and will no longer cover her slain,” are eerily appropriate to the phenomenon described in this book: a memory from beyond the grave takes form and substance, and stands in accusation against the murderers. In fact, this is not as rare a phenomenon as we might think. Perhaps this is simply the natural response of a people to sudden and traumatic loss of the memory of individuals: the memory must find another route to reach the next generation. Perhaps we are taking note of it now only because the magnitude of the catastrophe makes it impossible to ignore. Perhaps. But perhaps this is something that we haven’t seen before, something different not only in degree but in substance. Whichever is correct, we are led to ask a more pertinent question: could this phenomenon be the fulfillment of the prophetic vision? 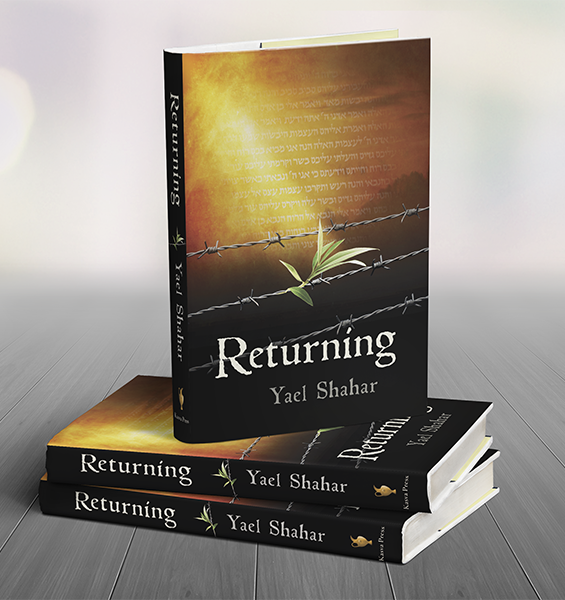 The same prophecies that speak of national—and perhaps even individual—revival also contain harrowing accounts of the days before this miraculous rebirth of the State of Israel. It’s been suggested by many that the Holocaust was ikveta d’mashihah—the catastrophe foretold to herald the arrival of the Messiah. The author doesn’t state an opinion on these matters, but the question is never far below the surface. Early in the book, a discussion is recorded among a group of young people at a kibbutz. The participants marvel at the miraculous resurrection of Israel and speculate on whether we are entering the Messianic Age. If so, who then is the Messiah? “Yeah? So who is it?” asked Aaron, with less skepticism than was his wont. Irrespective of Uri’s speculation, it is no doubt true that our image of what a messiah might look like may keep us from recognizing the real thing when it stands before us. Could it be that we have embellished the long-awaited event with so many aggadic flourishes that we can no longer recognize the reality when it happens? Could our overly literal reading of our sages’ poetic descriptions have led us to overlook completely the miracle as it happened? One of the dangers of taking the statements and speculations of our sages as literal truth—when they were not meant as such—is the distortion of our expectations. The miracle of Purim is very different from the miracles mentioned in the Torah. While the latter were overt miracles, such as the ten plagues in Egypt and the splitting of the Red Sea, the miracle of Purim was covert. No law of nature was violated in the Purim story, and the Jews were saved by seemingly normal historical occurrences. Had we lived in those days, we would have noticed nothing unusual. Only retroactively are we astonished that apparently unrelated and insignificant human acts led to the redemption of the Jews. The discovery that these events concealed a miracle could only be made after the fact. 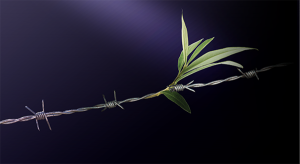 Covert miracles will never cease to exist, explains the Torah Temimah. In fact, they take place every day. The midrash on Proverbs is not suggesting that the actual festivals mentioned in the Torah will be nullified in future days. 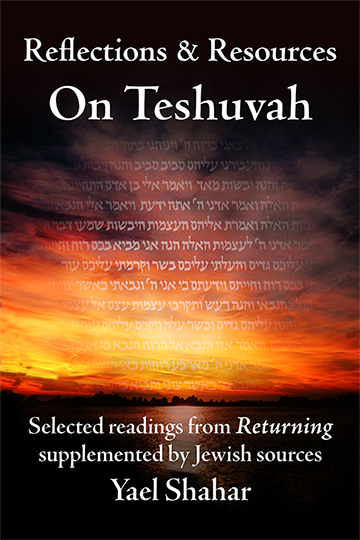 Rather we should read the midrash as follows: Overt miracles, which we celebrate on festivals mentioned in the Torah, no longer occur. But covert miracles such as those celebrated on Purim will never end; they continue to occur every day of the year. Purim, probably rooted in a historical event of many years ago, functions as a constant reminder that the Purim story never ended. We are still living it. The Megillah is open-ended; it was not and will never be completed! Such miracles are rarely apparent to those living through them. Only in hindsight are they revealed as miraculous at all. The midrash hints that the messianic age itself is not meant to be an age of open miracles, but of miracles hidden in plain sight. Perhaps this includes the messianic personage himself. Have we, in trying to interpret aggadot about the Mashiah literally, lost sight of what aggadah is all about? It would not be the first time that an over-emphasis on the minutiae of our tradition has led us to lose sight of the substance! Jews have been an ever-dying people that never died. They have experienced a continuous resurrection, like the dry bones that Ezekiel saw in the valley. This has become the sine qua non of every Jew. It is the mystery of the hidden miracle of survival in the face of overwhelming destruction. Our refusal to surrender has turned our story into one long, unending Purim tale. And herein is the essential tension in A Damaged Mirror. In speaking of one type of T’chiat HaMetim, we are led to the very boundaries of something that may well be the thing itself—the fulfillment of prophecy. Are we already in the early stages of the Messianic Age? Returning describes a spiritual journey. But what makes this journey significant is not its particulars—the memory of this or that incident, traumatic and world-shattering as it was. No, what makes this journey significant is that it is our journey, as a nation. Ovadya’s struggle with faith after what he has seen is common to many of us. Yael’s attempt to put down roots in the Land of Israel is representative of Am Yisrael in our day. The need for closure and atonement is the great need of a nation coming out of the darkness of exile and blinking in the sunlight of a new dawn. Can we believe—dare we hope—that the indignation has passed and that the dawn has come? Interpretive story, usually based on a Biblical text, but designed to teach something unrelated to the text. A Commentary on the Torah by Baruch ha-Levi Epstein (1860–1941). Massechet Ta'anit: Do we still need to pray for rain?